TORONTO, April 5, 2019 – Through circumstances not entirely under his control, it has been a quiet Triple Crown prep season for trainer Bob Baffert. A year after sweeping the celebrated series with Justify, the California trainer’s barn is still loaded with talented three-year-olds, but with the Kentucky Derby now just four weeks away, we’ve reached the time of year for those four-legged stars to show it. Baffert is hoping the twosome he has entered in Saturday’s Santa Anita Derby will do just that so that he can once again head to Churchill Downs with the horse – or horses – to beat. Two-year-old champion Game Winner, who was a solid second in his three-year-old debut, his first career loss, is the 4-5 morning-line favourite in a field of six at the Southern California track’s showcase three-year-old event. Baffert has also entered Roadster, the 5-2 second choice in the $1 million race. The Santa Anita Derby is one of three major prep races on tap this weekend joining the Bluegrass Stakes at Keeneland and the Wood Memorial in New York. All three races will award 100 Road to the Derby points to the winner making this a massive weekend in shaping the field for the first Saturday in May. Game Winner needs to boost his points account as well, but Baffert doesn’t seem overly concerned about the prospect. After losing by a nose to Omaha Beach in his division of the Rebel Stakes in a credible three-year-old debut on March 16, the Breeder’s Cup Juvenile champ has impressed his trainer in the mornings. And best of all, to Baffert’s way of thinking, the Rebel experience may turn out to be an invaluable one for Game Winner, who was making his first start in more than four months. “He’s tough, he’s gritty,” Baffert said on a teleconference this week. “He showed that in his last race. He had every chance when he was behind there to not finish like he did. He tries hard and he gives it his all. Though War of Will is his top prospect, Woodbine trainer Mark Casse is back in the chase for Derby points this weekend looking for a bounce back effort from Dream Maker in the Bluegrass Stakes. After being unable to fire in the stretch in his 10th place finish in the Tampa Bay Derby last month, the son of Tapit needs a strong showing both for points and to prove he belongs in the Run for the Roses field. Dream Maker is one of two Bluegrass entrants for Casse, who will also give Sir Winston a shot. 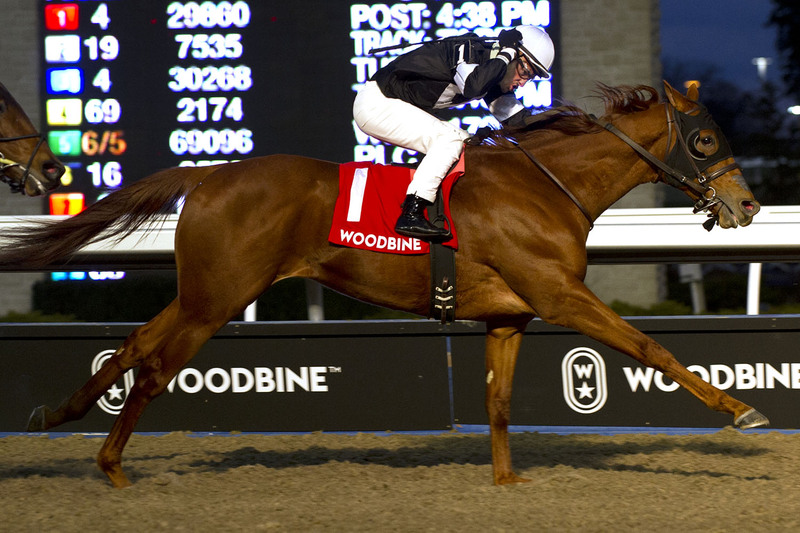 The son of Queen’s Plate champ Awesome Again was a winner at Woodbine last year and is listed at 14-1 in the morning line. Casse and owner John Oxley finished second in last year’s Bluegrass with Flameaway and will be hoping that Dream Maker flashes the form that he showed in his three-year-old debut, a flashy 8 1/2-length win at the Fair Grounds back in February. Trainer George Weaver’s Vekoma is the 9-5 favourite in the bulky field of 14. Dream Maker is listed as 10-1 in the morning line. Win Win Win, who was third as the beaten favourite in the Tampa Bay Derby, is the 7-2 second choice. A field of 11 will contest the final East Coast Derby prep in Saturday’s Wood Memorial at Aqueduct, another race that will have a Casse presence. The multiple Sovereign Award winner as Canada’s top trainer has entered Hoffa’s Union, who will be making just his second career start in the Wood following a 15-length win in a maiden race to begin his career earlier this year at Laurel Park. Tampa Bay Derby winner Tacitus is expected to be the betting favourite for trainer Bill Mott. With no strong favourite having emerged as the one to beat, we’ll put the two-year-old champion back on top of our list, a perch he can keep with a win in the Santa Anita Derby. The Baffert factor is just too strong and though he lost his three-year-old debut, this colt seems to possess all the tools. The only horse to defeat Game Winner on the racetrack – doing so in the Rebel Stakes at Oaklawn Park last month – appears to be a serious colt. As much as Game Winner might have been rusty in the Rebel, Omaha Beach was impressive and is training forwardly in advance of his final prep, next week’s Arkansas Derby. Baffert’s “other” colt has done nothing to have us doubt his credentials thus far though, like his stablemate, still has some proving to do. A runner-up in his division of the Rebel, this guy will get his final tune up facing Omaha Beach in the Arkansas Derby. At the risk of placing all of our contenders from Arkansas, a winner over Improbable in his division of the Rebel places him on our list. Asmussen will send this colt to the Arkansas Derby next week to face Improbable and Omaha Beach in what is undoubtedly the stoutest tests on paper of this prep season. Lost some supporters with his troubled trip in the Louisiana Derby, a race that you can toss given his stumble at the start. Number one on many lists prior to that, War of Will is back in training and, according to Casse, in good health. The challenge, of course, is to recover from that disappointment, which at this juncture makes War of Will somewhat of an unknown entity. This entry was posted in Woodbine News and tagged Bob Baffert, Derby Day Party, Derby Day Party Event, Dream Maker, Game Winner, Hoffa’s Union, Horse Racing, Kentucky Derby, Mark Casse, Roadster, Sir Winston, War of Will, Woodbine. Bookmark the permalink.